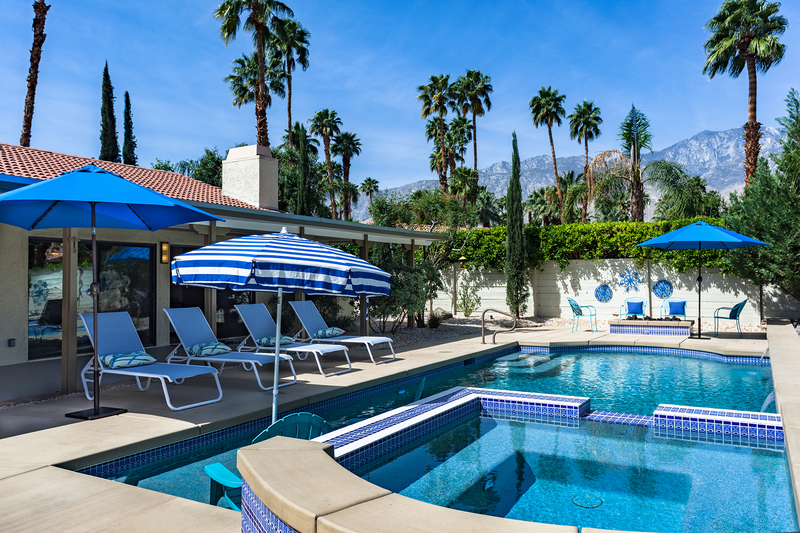 Sprawling Executive Villa in sunny Palm Springs. Gorgeous inside and out. Completely renovated in 2016. New kitchen and baths. All new designer furnishings. Modernized for the way we live today with new appliances, updated climate control, high speed internet access and 5 flat screen TVs. 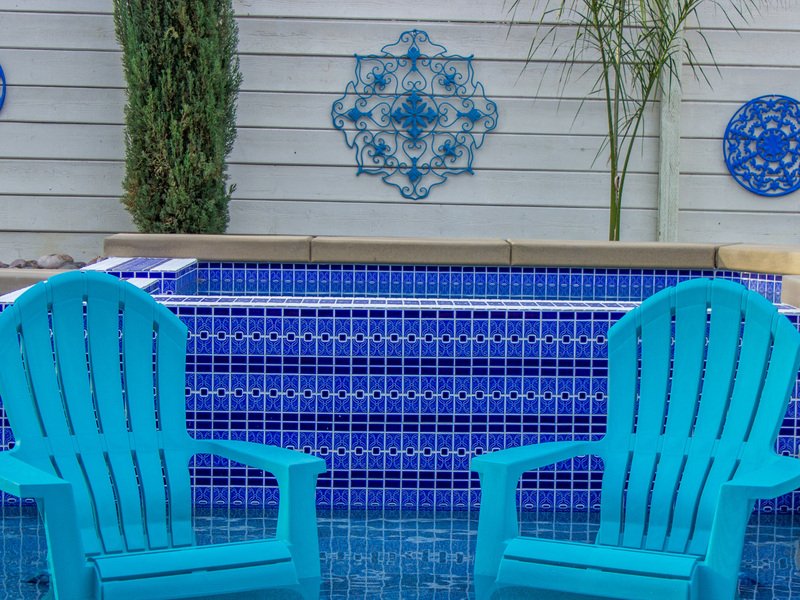 As beautiful as the interiors are - it is the very private pool yard that is this home's crowning glory. 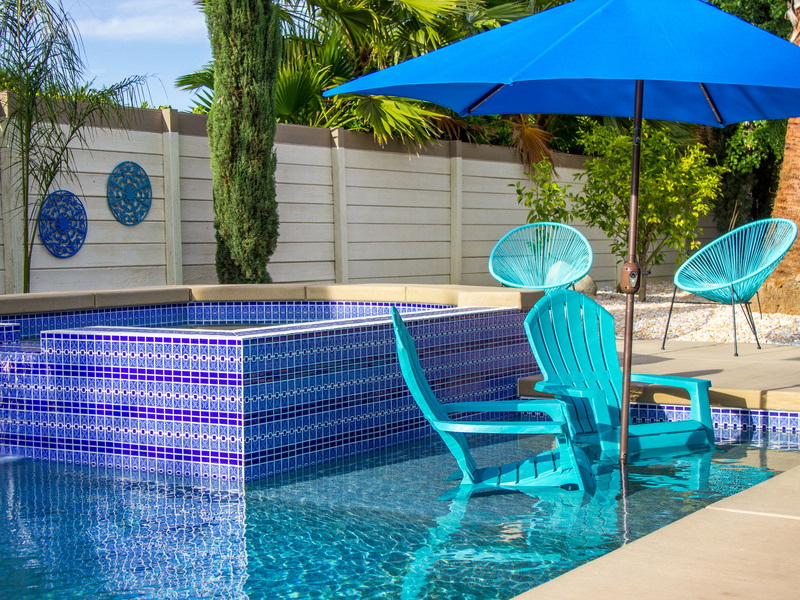 The entire back yard - including the pool and spa - are brand new. 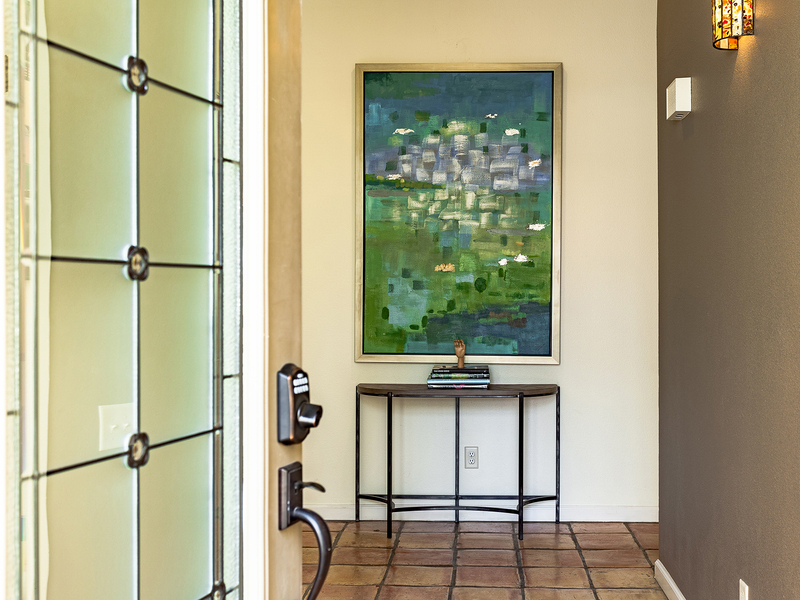 From the moment you arrive at this amazing vacation home --- you'll know you made the right choice. 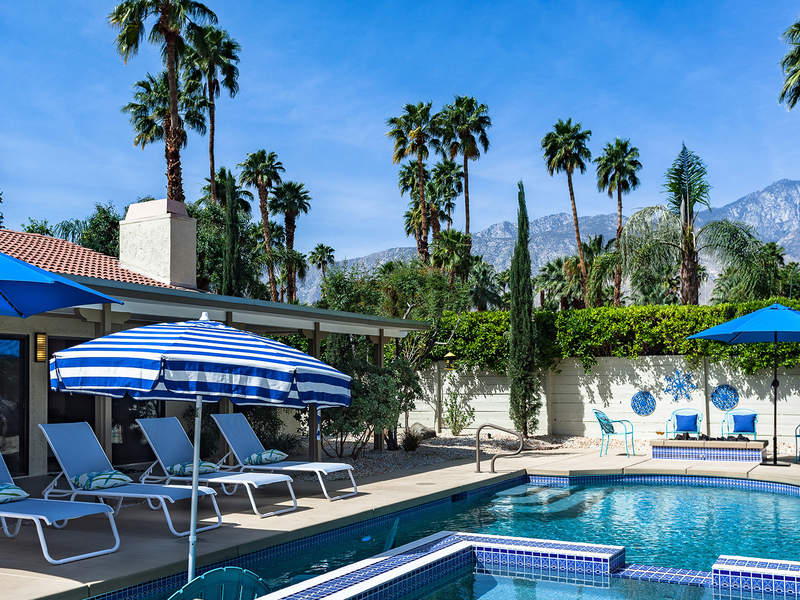 Inspired by their world travels to places like Italy and Greece, the property owners combined their love of everything Mediterranean and their fascination with Palm Springs - to create Andiamo al Sole (Let's go to the Sun). Now, for the first time, they are sharing this property as a vacation home rental. If you are looking for a beautiful place to unwind, relax and get away from it all - you have found it at Andiamo al Sole. Completely walled for privacy - the pool yard has the look and feel of a private Tuscan estate home. Luxury living at its best. 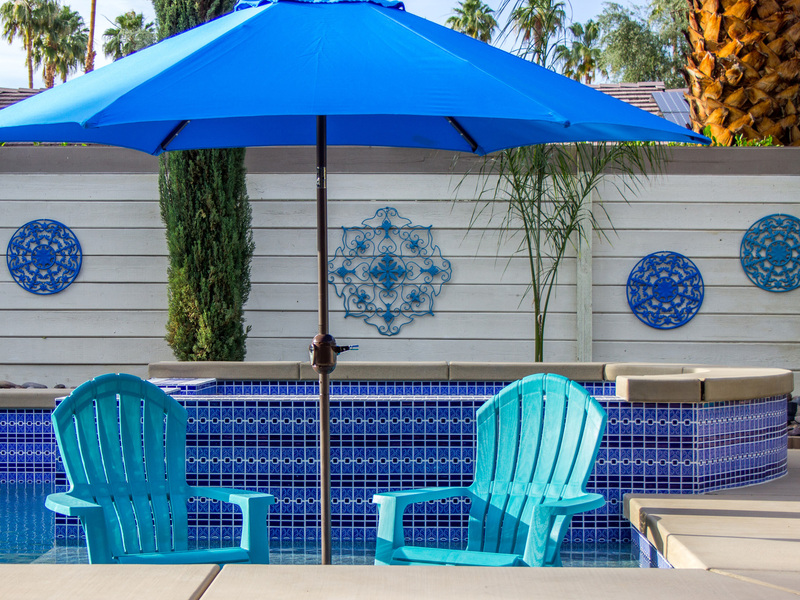 Decorative blue tile work, fabulous mature plantings and dramatic landscape lighting are combined with contemporary furnishings to create this stunning desert escape. 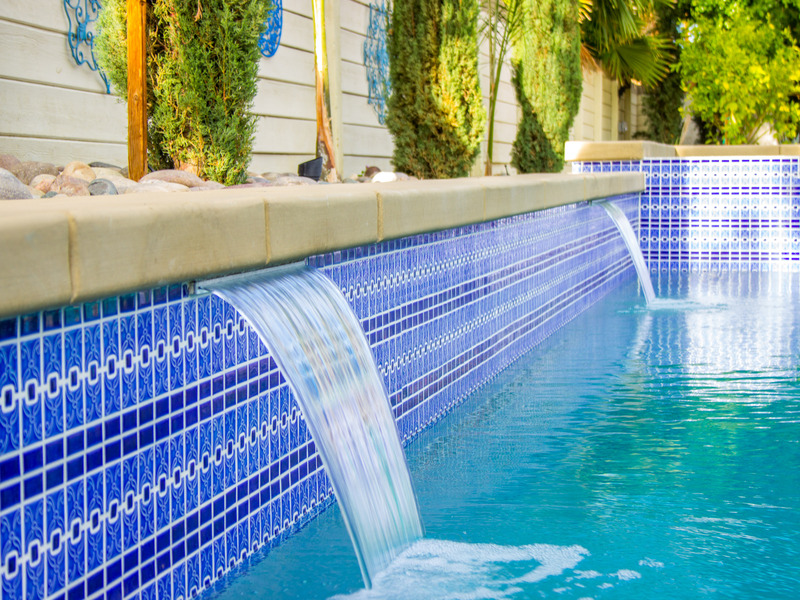 Master-crafted sitting walls, hard surface paths, and saltillo tiled patios surround the pebble-tec pool and integrated waterfall spa. The shallow tanning deck is great for basking in the sun (the perfect splashing place for little kids). 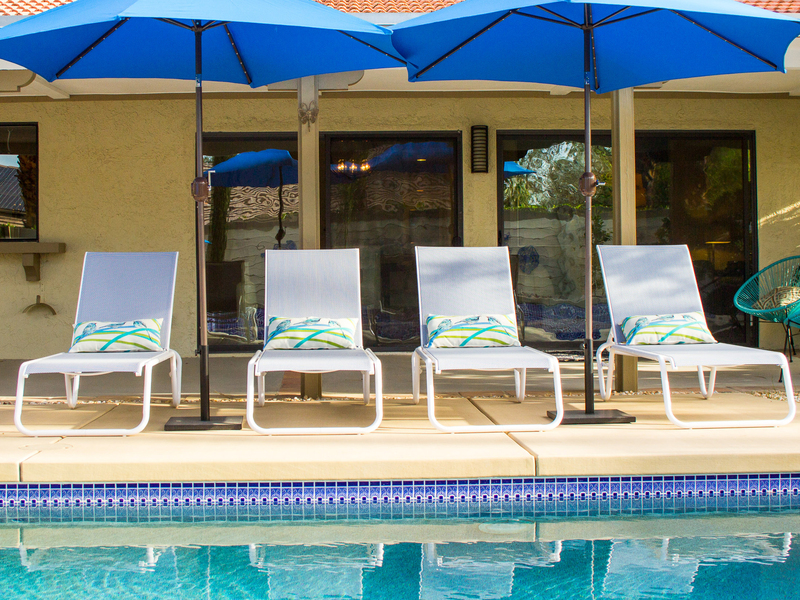 There are plenty of poolside chaise lounges and shade umbrellas. There are two separate eating areas including a covered dining pavilion (sits 8) and a breakfast area for taking your meals al fresco. 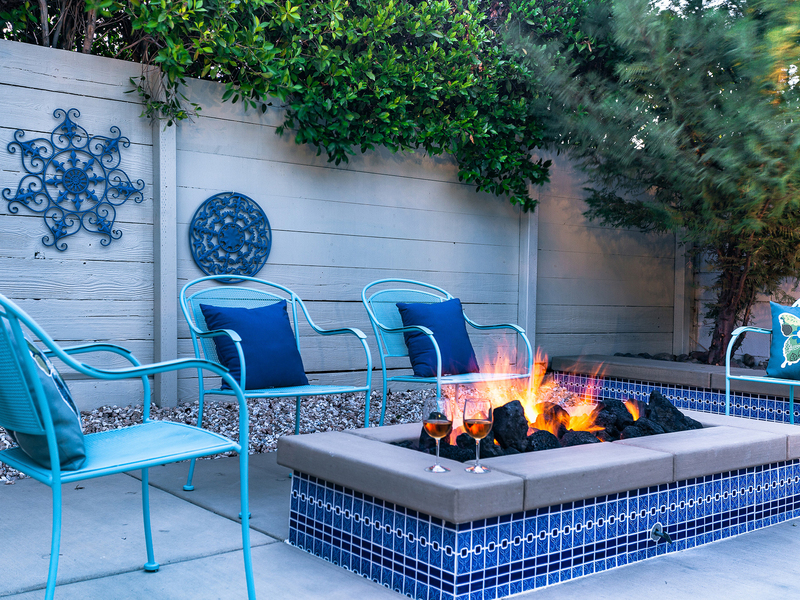 You'll also find a firepit lounge for spending evenings under the stars, a gas fired cooking area, a ping pong table, a napping hammock and a green area for lawn games. As though ripped from the pages of Elle Decor or House Beautiful, this luxury vacation home rental features classic Southern California architecture, contemporary designer furnishings, colorful artwork from the owner's private collection and walls of glass that blur the lines between indoor and outdoor living in true Palm Springs style. 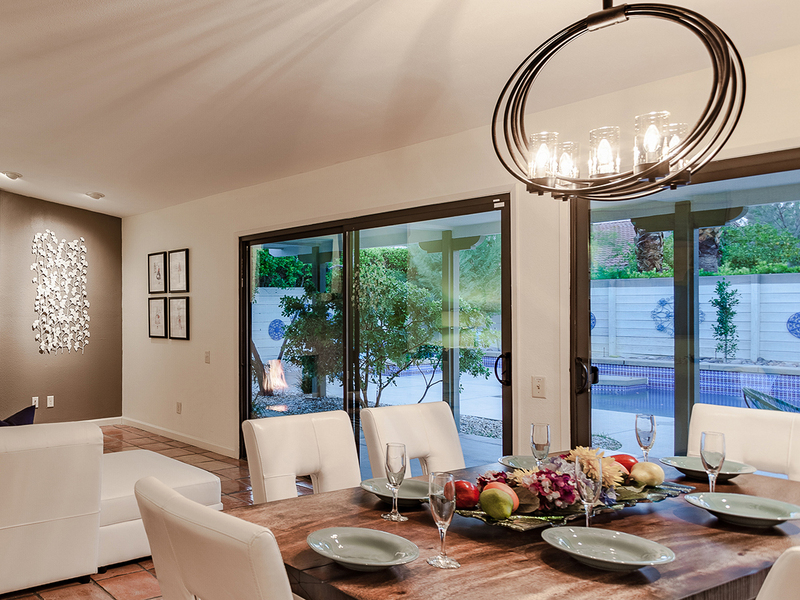 The interiors of this sprawling ranch home have been carefully space planned for gathering with your entire group. 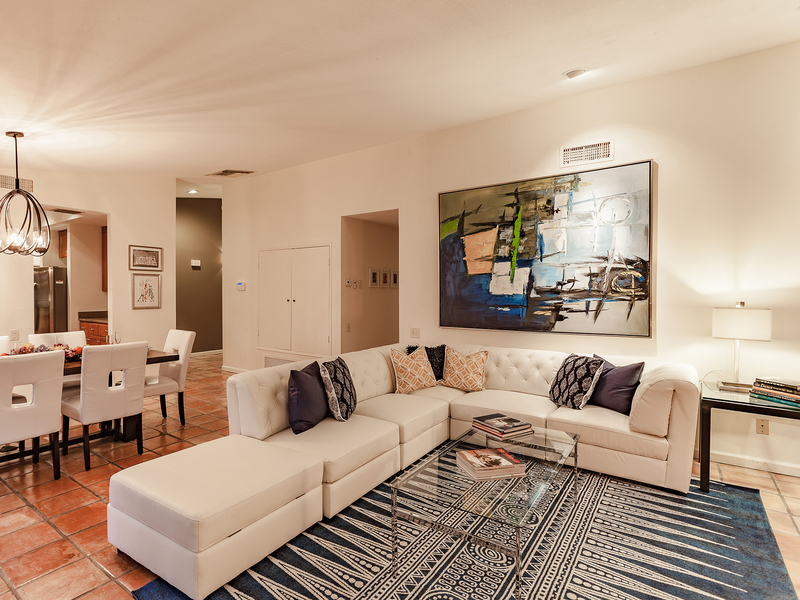 The great room, with its soaring cathedral ceilings and Spanish-style tile floors, features a large sectional sofa, a flat screen TV, a fireplace and indoor dining for eight. 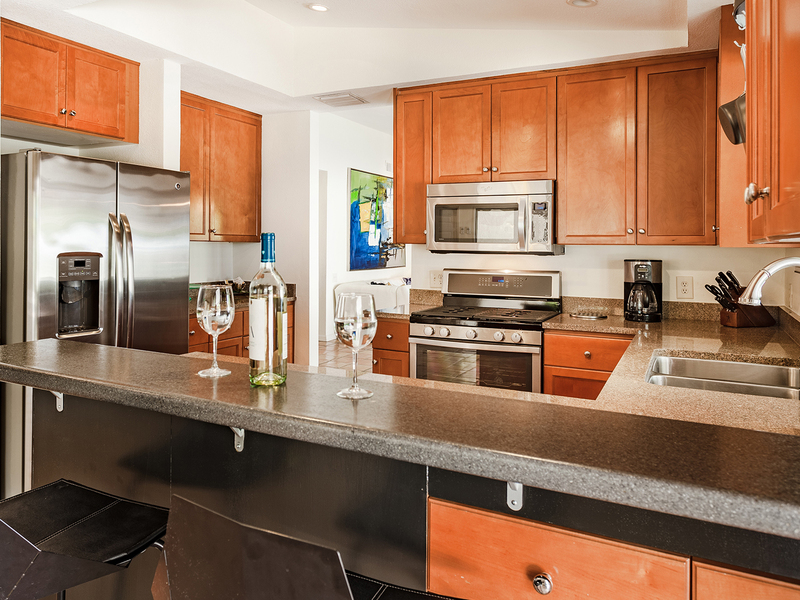 The well-stocked kitchen features stainless steel appliances, quartz counter tops and plenty of cabinets. There is an additional dancing room that features two entire walls of glass that open up to the outdoors. 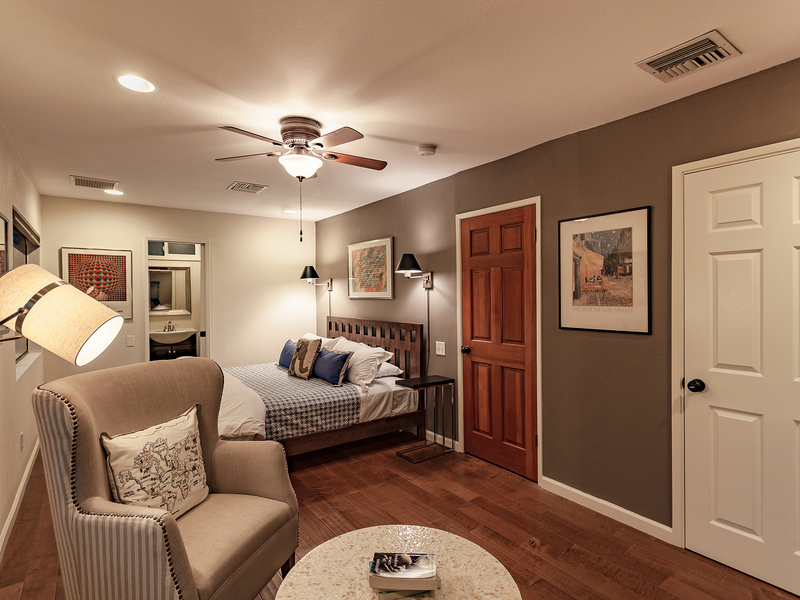 The layout of the bedrooms works very well for groups. 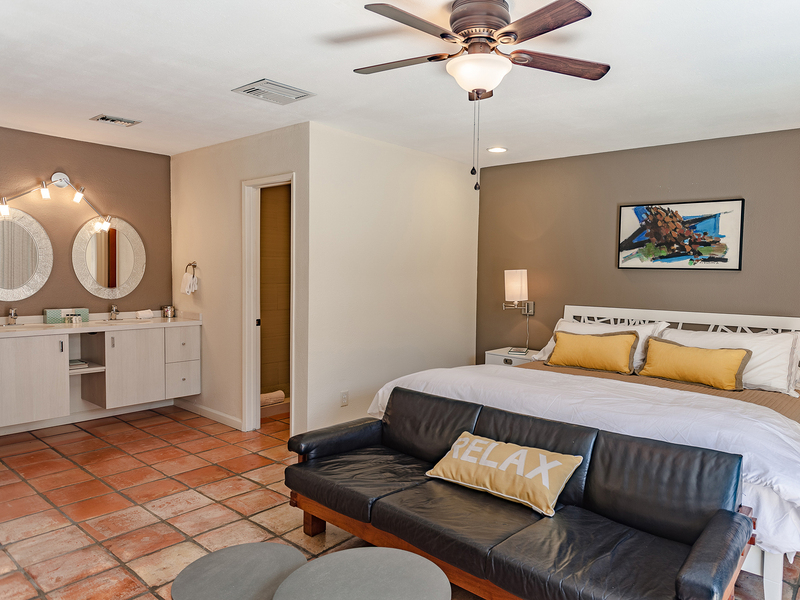 All of the bedrooms have hospitality-quality mattresses, flat screen televisions, and ample storage. 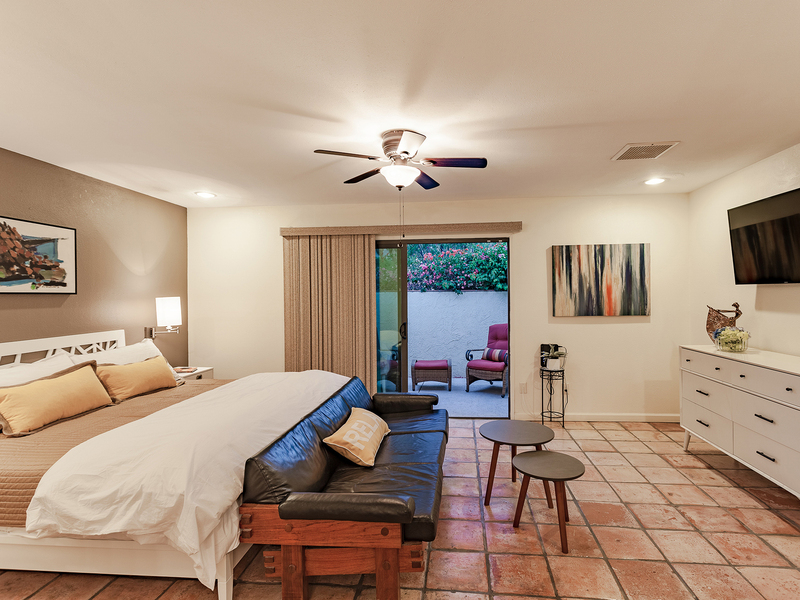 There are two master suites, each with a king-sized bed, an en suite bath and a sitting area. 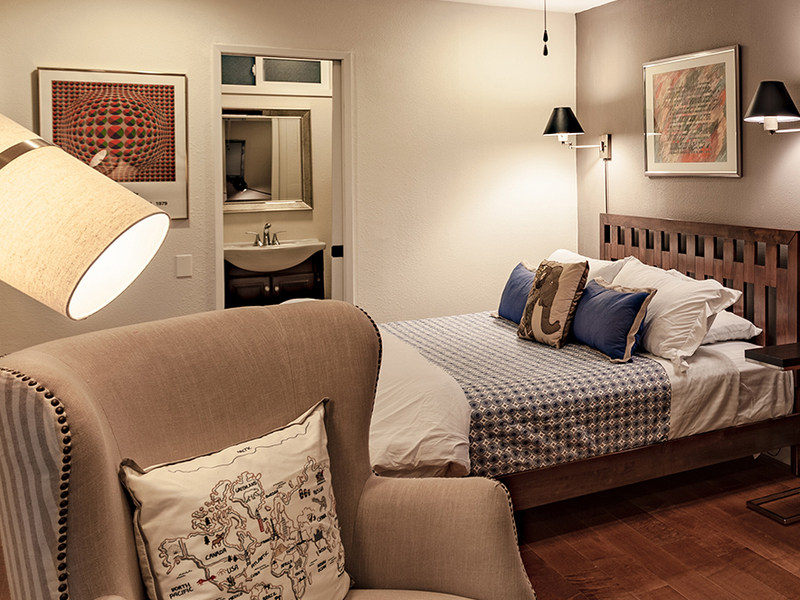 The guest room has two twin beds that can be converted to a king upon request and easy access to the third bath. 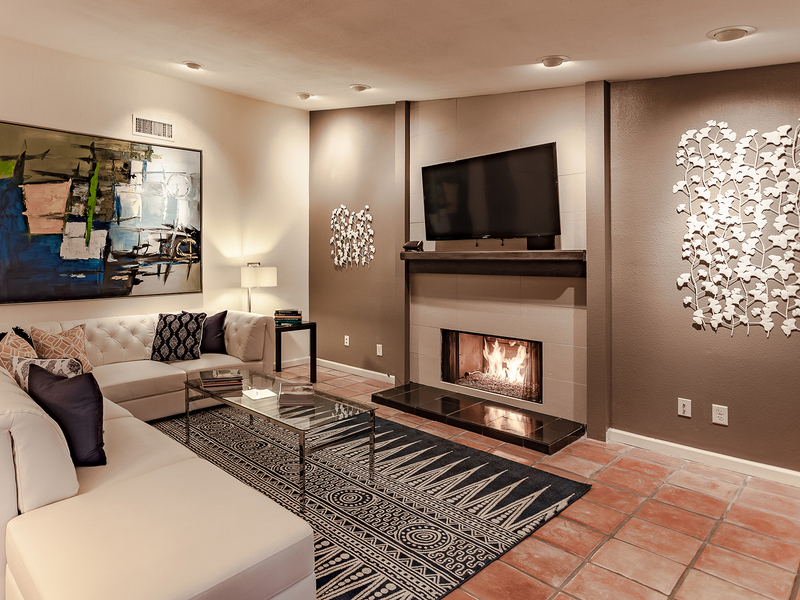 "Andiamo is in a perfect location close to main roads and freeways. 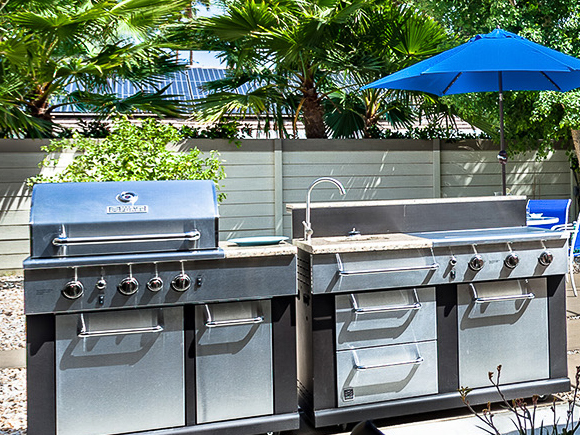 The kitchen is well equipped and there is a big BBQ island for cooking. The beds in all bedrooms were very comfortable- all kings with en-suites. 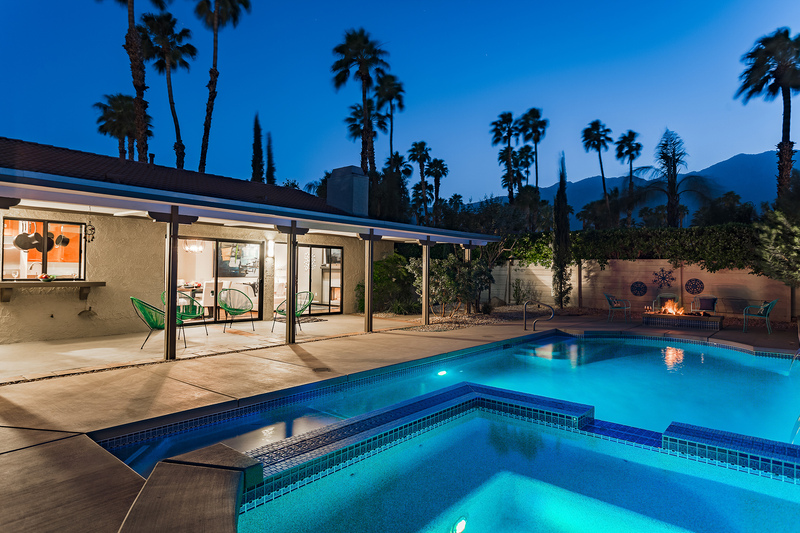 A big thank you to the owners who subscribed to the NHL channel for us so we could watch our hockey games while enjoying Palm Springs for just over 2 weeks. 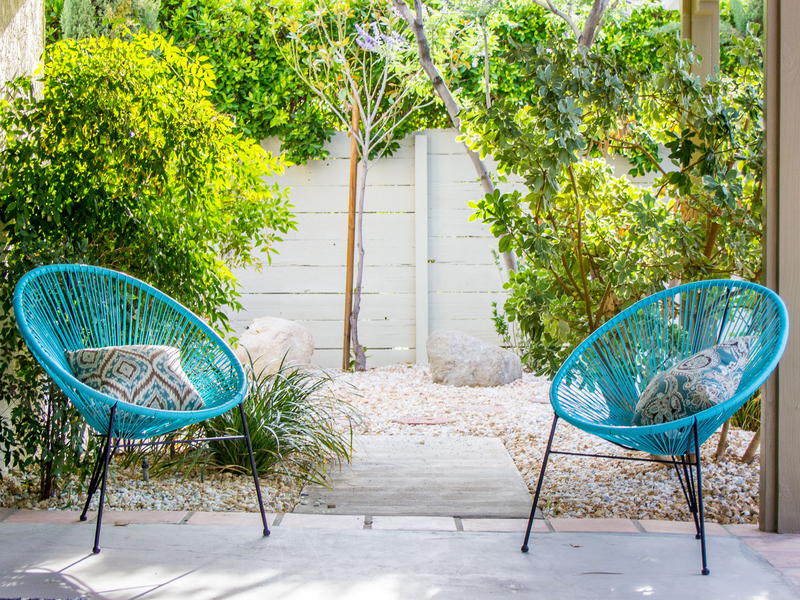 Our favourite part of the house was the beautiful backyard oasis. The only problem was the spa would heat up too much even though we tried setting it at 98 degrees. We had to turn the heater off when it got too hot. Thank you Acme for another comfortable, beautiful home to enjoy in PS. We didn’t want to leave! " 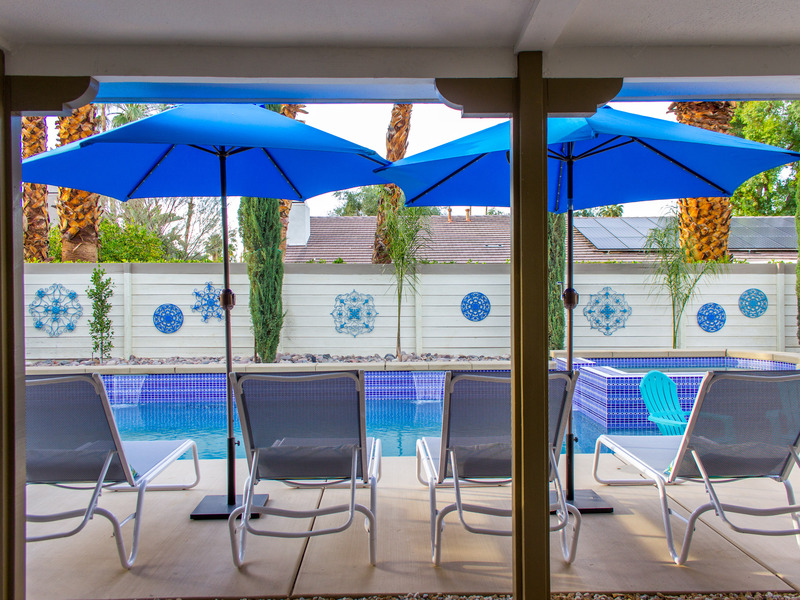 "The home was gorgeous, clean and had the most incredible backyard complete with a pool, jacuzzi, firepit, BBQ and hammock! Couldn't have asked for more. We didn't want to leave. 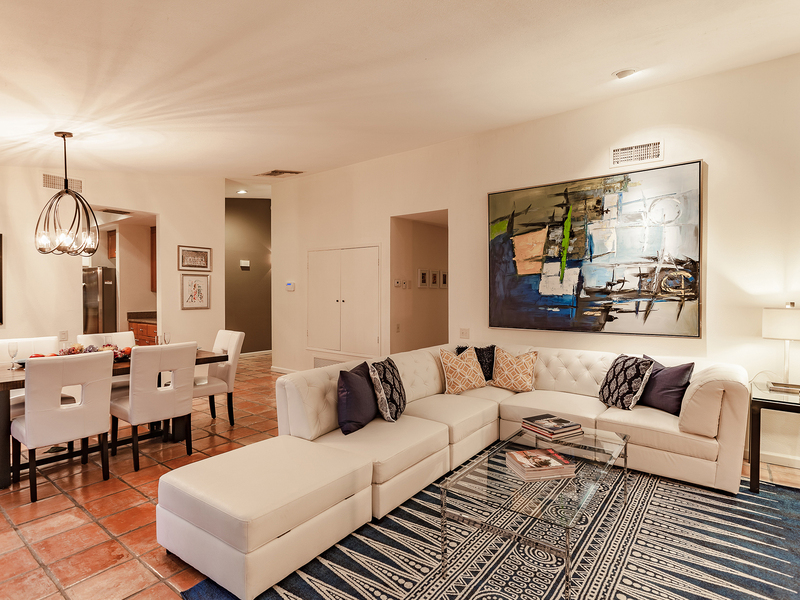 The property description was very accurate and I will definitely be back!" 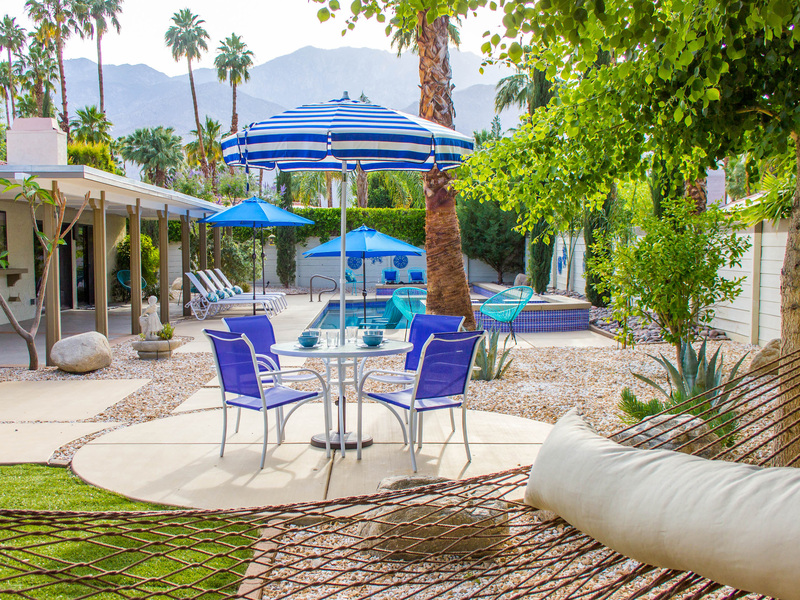 "We just spent nine nights at Andiamo al Sol in Palm Springs. We were with our son and family. The set up was perfect. 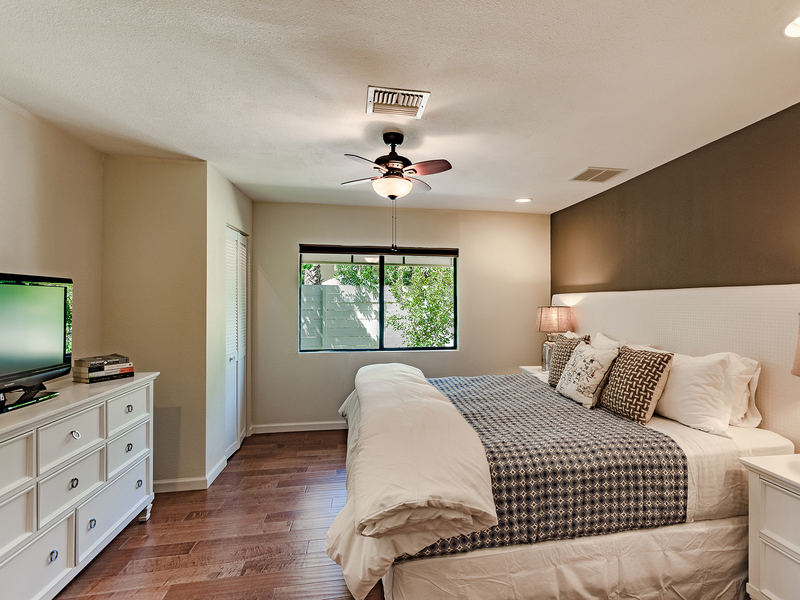 Loved having two master bedrooms. The house was perfect for the six of us. Our two little granddaughters loved the pool. The shallow shelf was just right for them. (1 1/2 and 3 1/2 years old) We liked the convenience of being close to shopping and restaurants. Great combination of a wedding and relaxing vacation. We did need to request extra towels which were delivered when needed. Beautiful, quiet neighborhood." You would be crazy not to get this house! "The set up of the house, the amenities, and the ease of questions answered by ACME House Co., made for a wonderful girl's weekend! The concierge was definitely my favorite. Loved walking into a beautifully lit, clean, house, with the music playing! When I arrived I Face Timed my husband, (the man who paid for it all) and for him to see me so happy was worth every penny he told me. Biggest surprise was the quality of the entire home, especially the bedding! Everything was marked so my guests never had to bother me for a single thing which made my girl's weekend that much better. I was trying to escape the never ending questions that we get as mom's, so that was nice to not be asked where anything was. I plan on coming back again and again!" Manager Response: So glad to know you had a great time. You and your ladies were the perfect guests! Come back soon Dorothy! "This home was just beautiful. The bedding possibly the best I have ever slept on. Everything was on when I arrived, including the air, waterfall, and music. I was ready for my vacation the second I stepped in the door. Nice touch!!" "Everything felt seamless. It would have been nice to get into the property a bit early, but we understand that the cleaning people need to get their job done as well! We chose this propriety for the price point, and the accommodations for 3 couples each having their own bedroom suite. 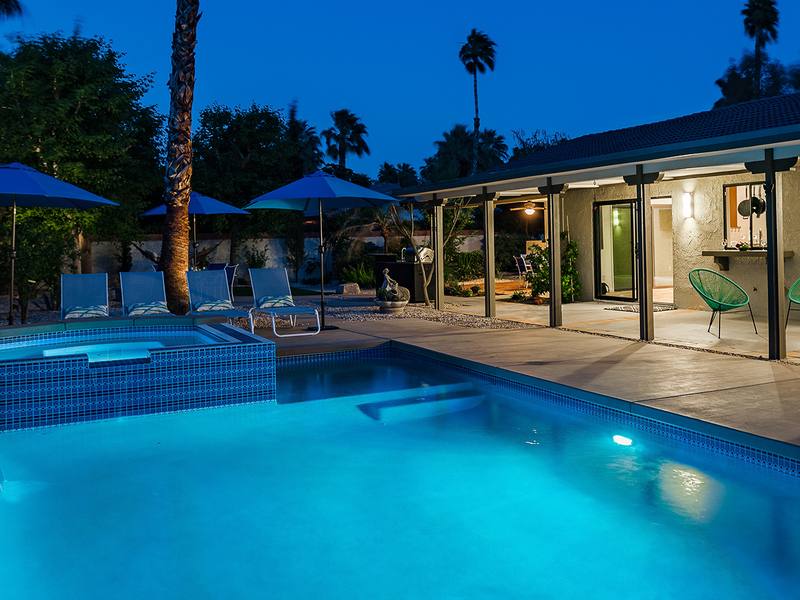 We really loved the outdoor living space with the pool, and the well equipped kitchen. Looking forward to returning! " 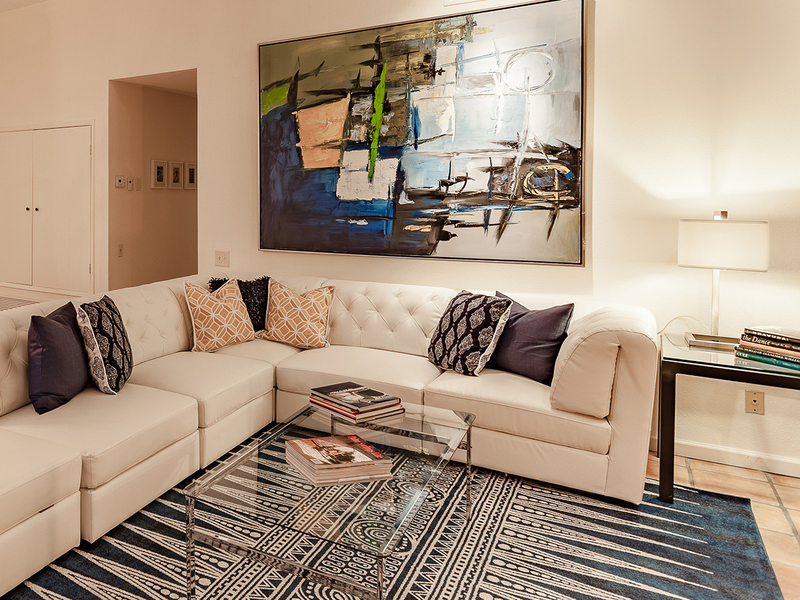 "The house was well appointed and the communication with ACME House Co. was excellent. Acme communicated well and offered several suggestions of rentals that might suit our needs. All were lovely, but we were impressed by pool and patio area of Andiamo. Best part was the warm welcome by Acme! The A/C was on, there was ice in the freezer, and music was playing in the house. After travelling many hours by car, the thoughtfulness of the team was a lovely start to our Palm Springs holiday! Loved the misting jets at the patio, they were a complete surprise. Wonderful house and stay. 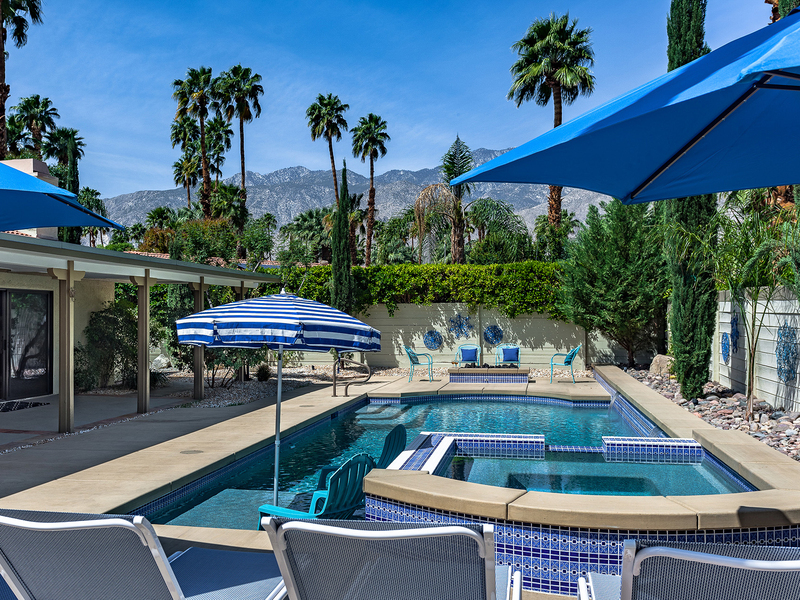 Beautiful and relaxed area of Palm Springs. I would use Acme in the future!" This is a great place for a family vacation! "Everyone - me, my husband, the inlaws and the teenagers loved this place. Clean, comfortable and very well maintained. The pool yard was perfect - very private with lots of different places to hang out. We loved the fire feature! Nice quiet location in a walking neighborhood. We did a lot of strolling as a family. Good times. We would rent this place again." "Just spent an amazing weekend at Andiamo al Sole. The house is open and beautiful. 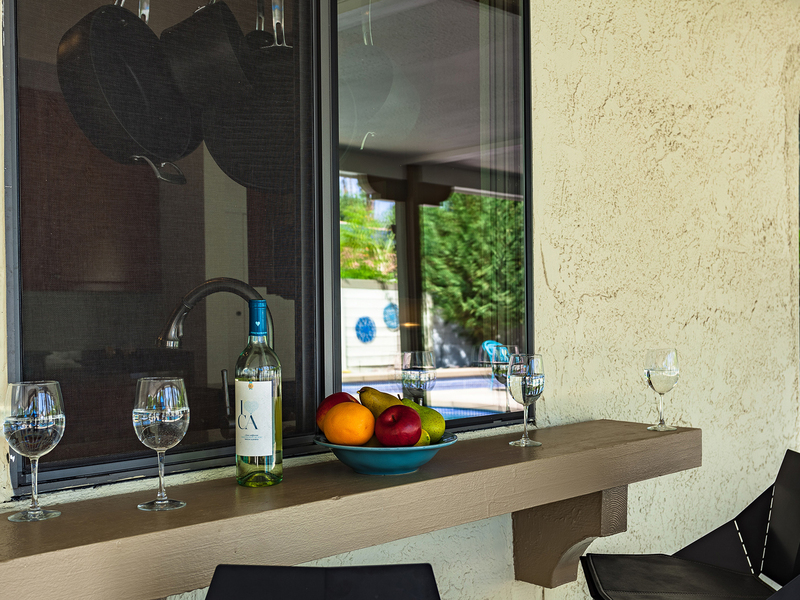 Between the kitchen and outdoor cooking area, we were able to make delicious meals and enjoy them poolside. The Acme company was overall extremely easy to work with and very accommodating, especially the convenient app they offer with everything you need to know about the home and your stay. The neighbors were kind and the street is very peaceful and serene, made for a perfect relaxing getaway. I would definitely rent this home again. " 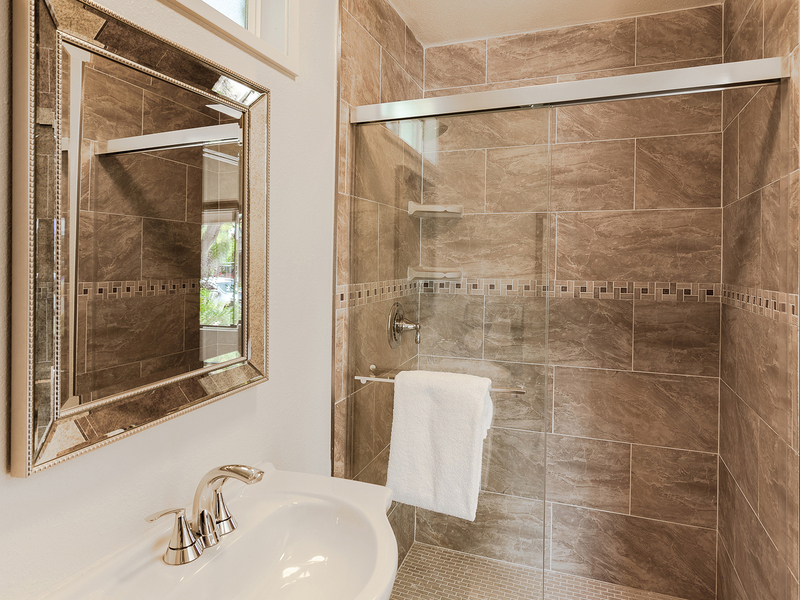 "The house is nicely appointed and well maintained. 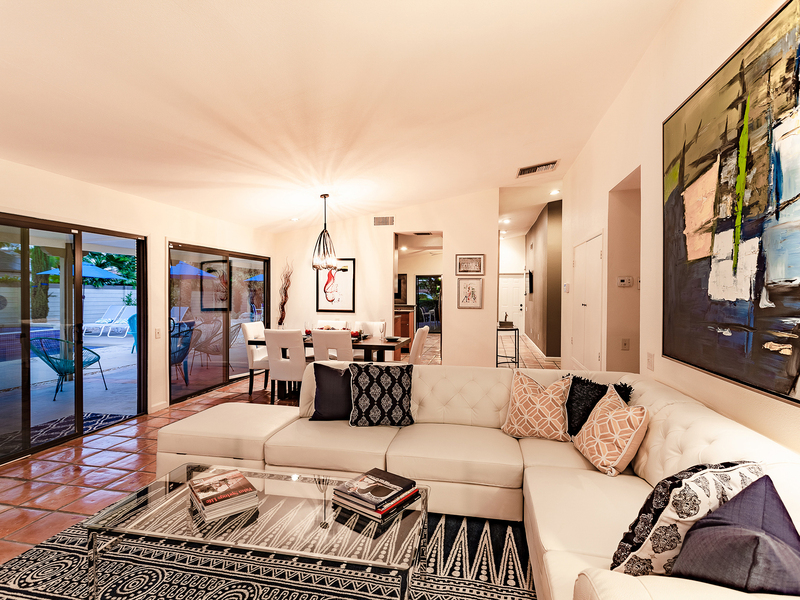 Spacious living areas, bedrooms, and a spectacular backyard, pool, spa, outdoor kitchen, and patio. Kitchen has everything you need. 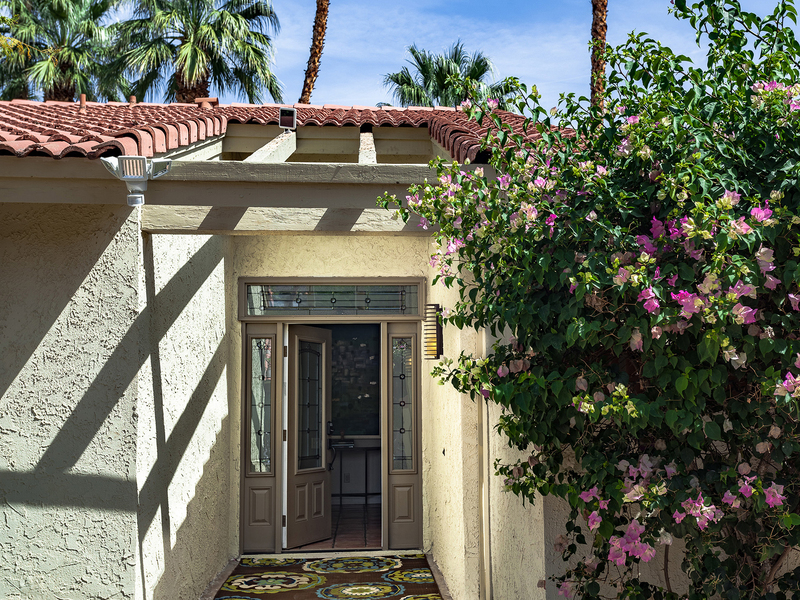 The location is great: minutes from downtown, the tram to San Jacinto, and the airport. We were delighted with the property and highly recommend it!" A Great New Year's Stay! "Great service! Love that the house had all the little things needed to make a comfortable stay... plenty of toilet paper, trash bags, cleaning products, even soaps and shampoos. Best part was being able to relax with the family. 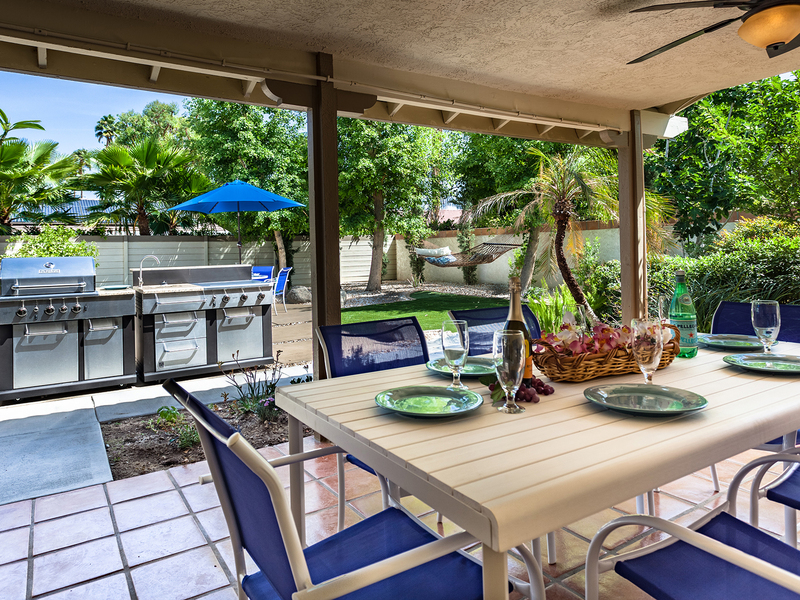 The backyard was great, and able to accommodate everyone in the family!" "Great homes, great service! 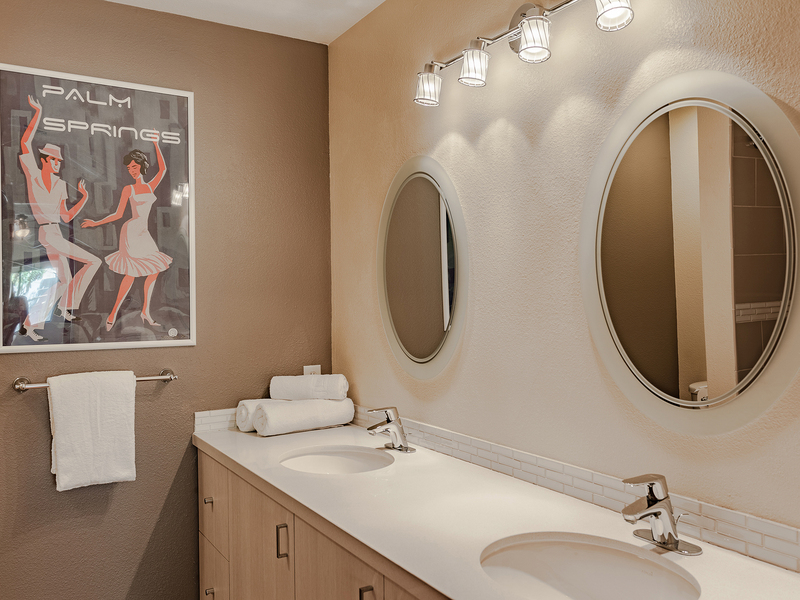 Excellent style, cleanliness, and comfort!" "This home was fairly new and "unproven" when we booked it. We were concerned that there were hardly any reviews at that time. But Renee at Acme's Reservations told us it was a great property. We trusted her. Gave it a try. And boy was she right. Gorgeous back yard with spectacular mountain views. Our grand kids loved the tanning shelf and spa. And our daughter and son-in-law said they want to come back in the winter. Our whole family loved this place!" A Great End to Summer Vacation! "Beautiful, clean home. Backyard was amazing, my kids loved it! We had a wonderful vacation before going back to school!" 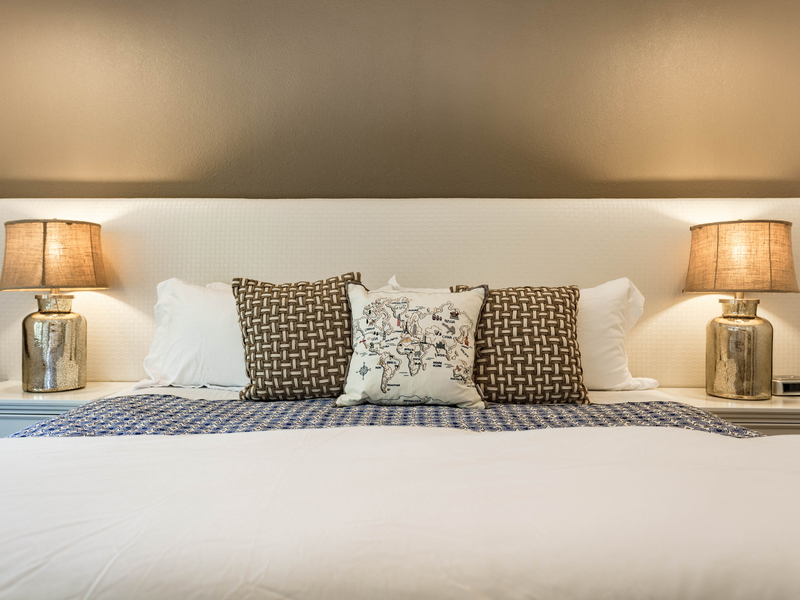 "The house is impeccable,and has everything you need for a great stay! Excellent customer service. The best part was the pool! 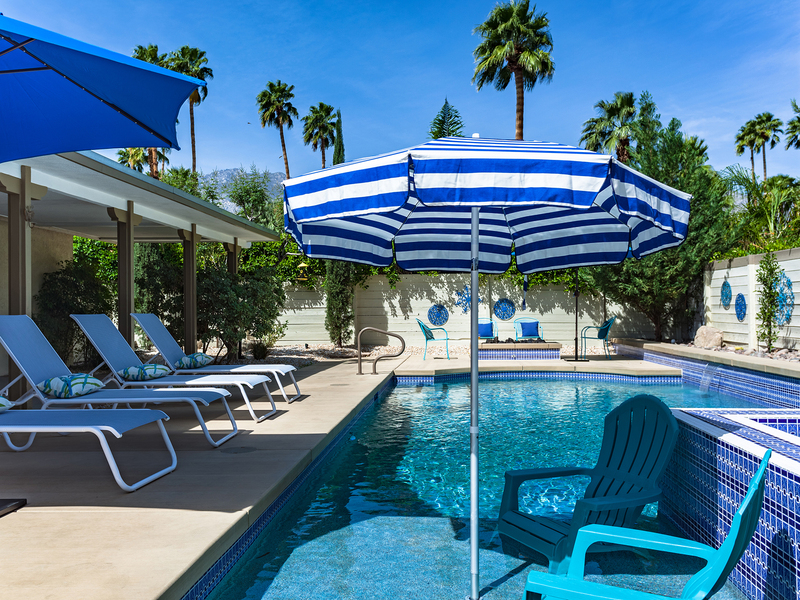 Palm Springs is hot, but people are really nice! " "The yard is spectacular!! The bathrooms and kitchen are on the small side. There is also an empty room by the kitchen. A good overall stay." Manager Response: Thank you Ms. Santana for staying with us. We are glad you enjoyed your stay. As you know, Andiamo al Sole is nearly 2,000 square feet which is a nice size (larger than many) in Palm Springs. 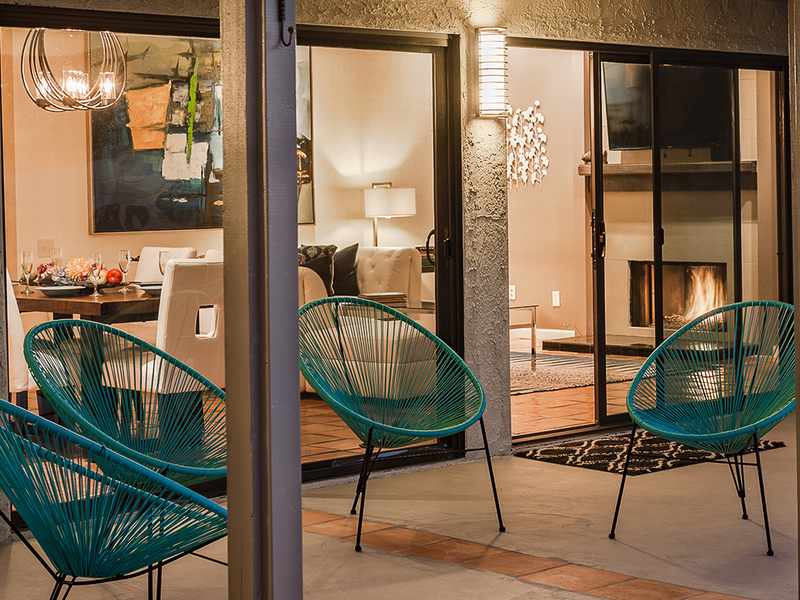 And the covered outdoor living and dining rooms add to the overall usable space - blurring the lines between indoor & outdoor living in true Palm Springs style. 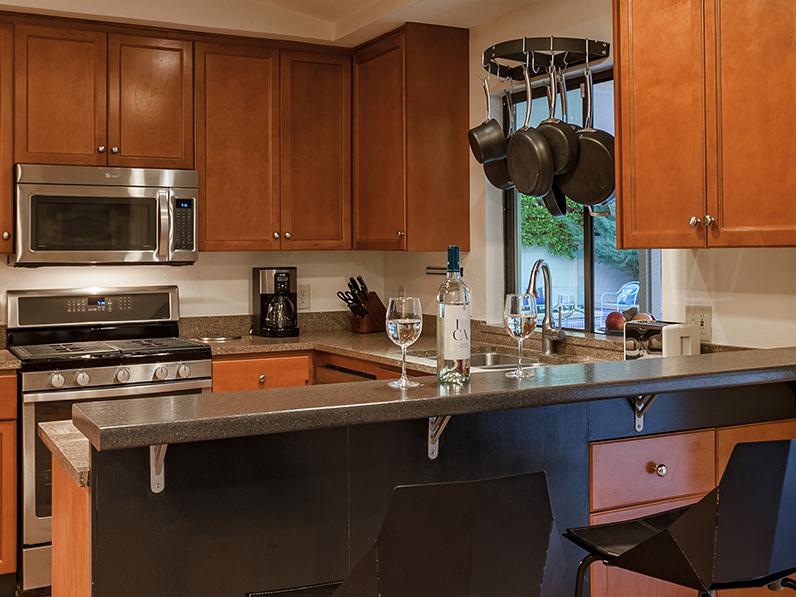 The property owners love to dance - so the room you noted as empty is intended to use as a dance floor for those who share the owners' passion for kitchen dancing. Its part of the fun. 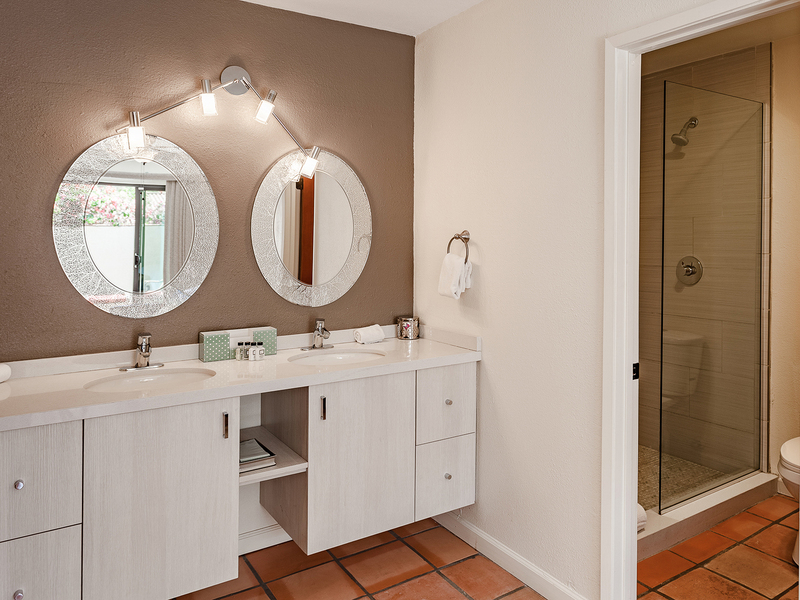 The brand new third bathroom with shower is on the small side but most guests value having two en suite baths plus the third dual sink third bath so that each bedroom has a dedicated bath. Again - thanks for the feedback. We are glad your overall stay was positive. 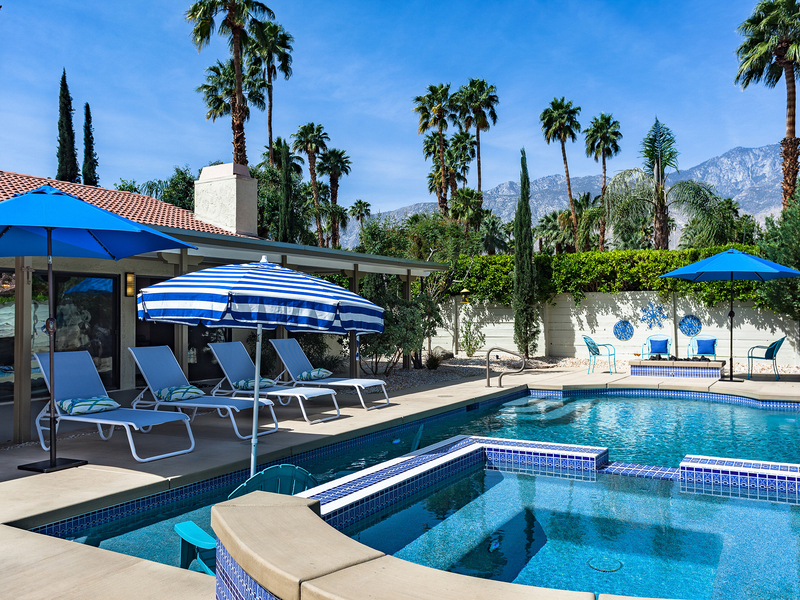 We look forward to your return to Palm Springs. We Love Renting With Acme! 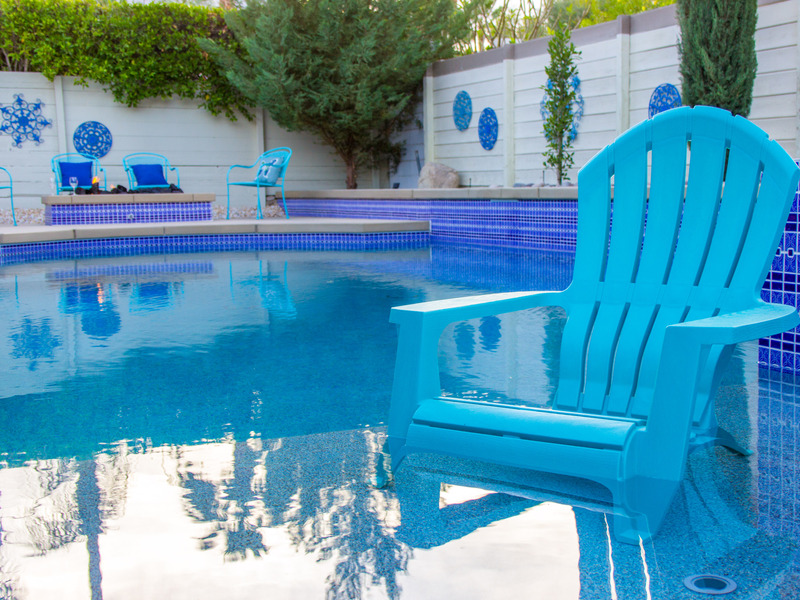 "We've rented through Acme several times, and the houses are always wonderful. Our last stay was in the beautiful Amdiamo al Sole. The house was clean and well-appointed, with plenty of gear in the kitchen to prepare meals. 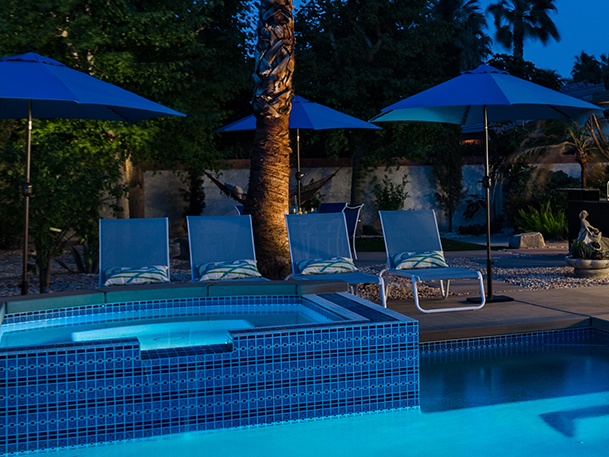 The beds and bedding were clean and comfortable, and the saltwater pool was exactly what 115F weather called for. The hot tub was nice, but there wasn't much need for that in June. There were plenty of outside seating options, including a giant hammock! There even was a ping pong table. 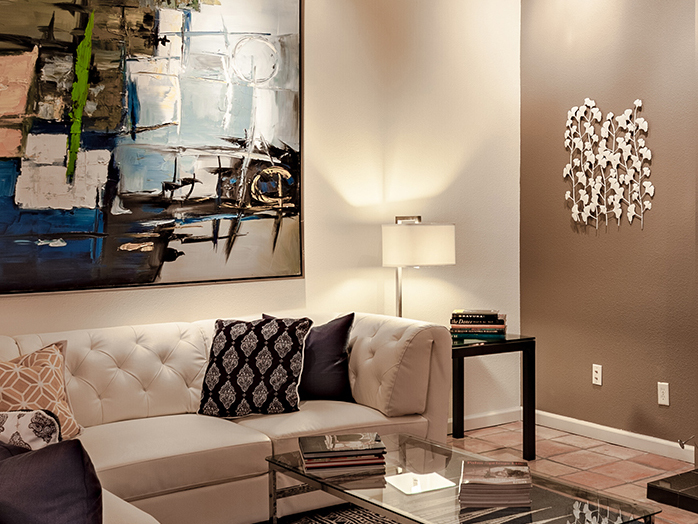 The rental process was super easy and all of our questions are always answered quickly. 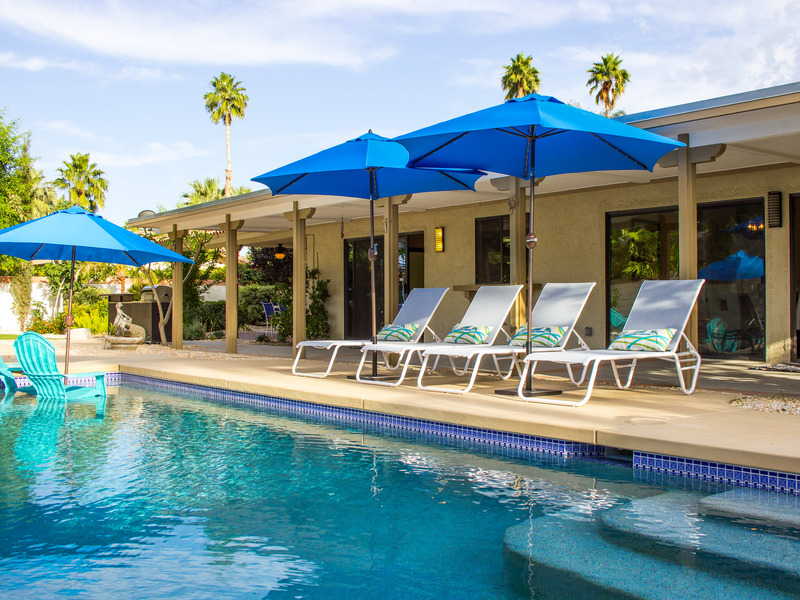 These days we just check with Acme when we're ready for a desert getaway, they always have what we need. My only gripe would be to stock basic condiments like ketchup and mustard, some houses do and some don't, but it's nice not to have to get that at the store for burgers and dogs." "Andiamo al Sole provided the ultimate getaway weekend. The house was perfectly appointed, clean, and comfortable. 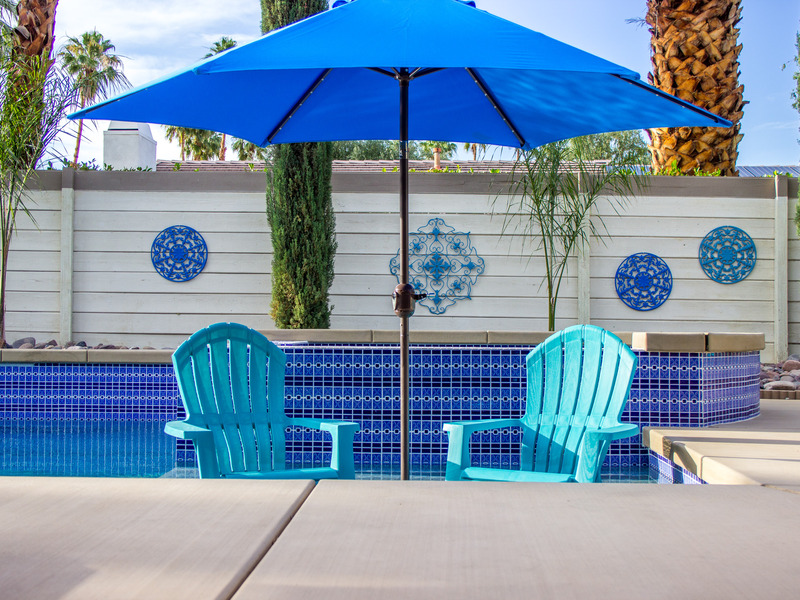 We couldn't have asked for a better pool, spa, and outdoor seating areas. Would definitely rent again!" 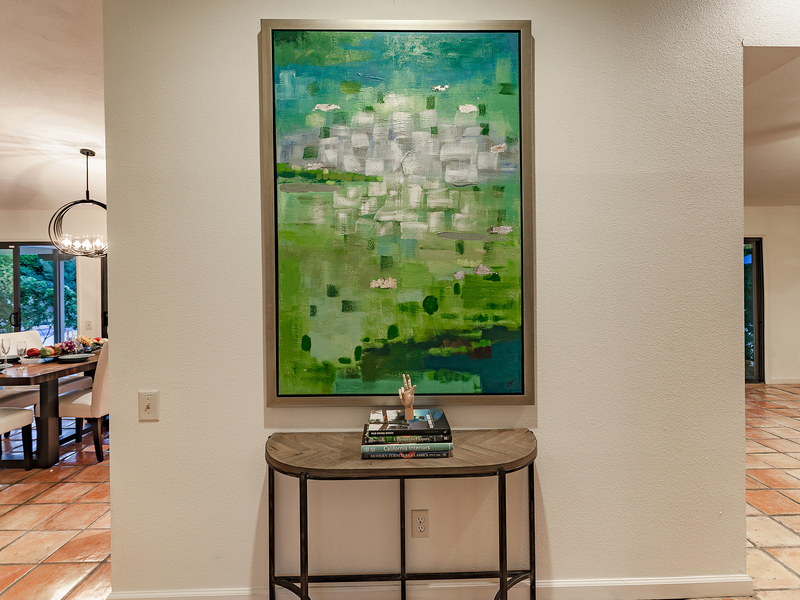 "The house was great, and was perfect for a weekend getaway. 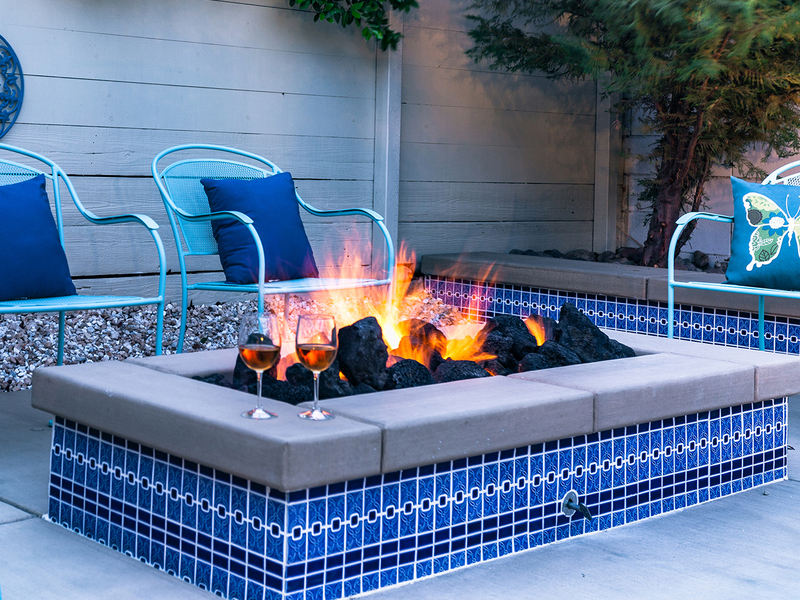 The pool, spa and fire pit provided the perfect relaxation center pieces. I would definitely rent here again! " "A wonderful stay at Andiamo al Sole! 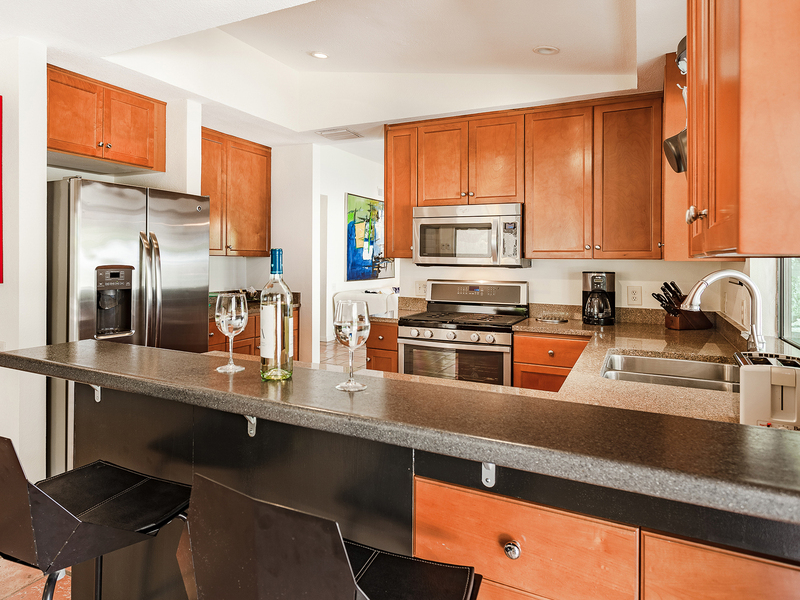 The house is clean, spacious, and comfortable for a weekend or longer getaway. The hammock and lounge chairs are so comfortable! I would definitely rent here again in the future." 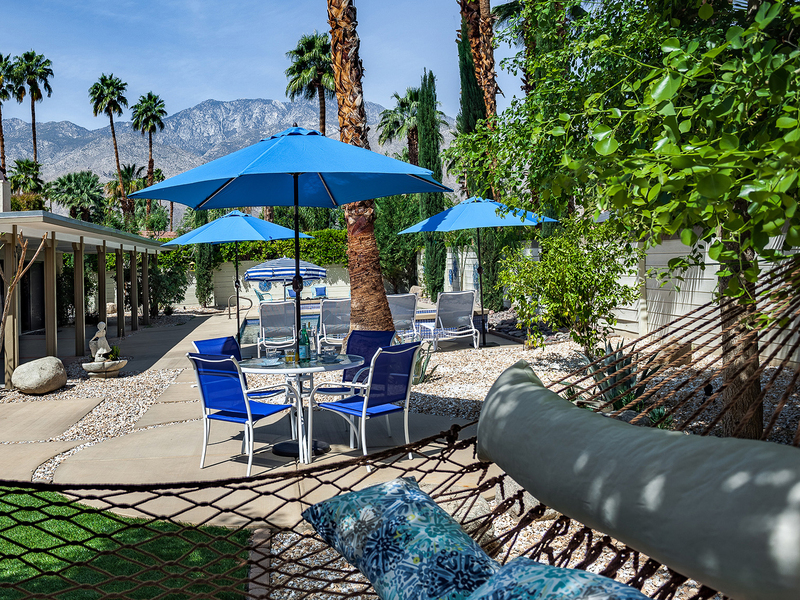 "This is my fourth vacation rental with ACME House Co and they continue to impress me every time! From the booking process, to the check in process, the app, and check out, it couldn’t have been easier. I have a busy job in LA and I was able to use DocuSign to sign the rental agreement during a meeting from my I-phone. How easy is that? 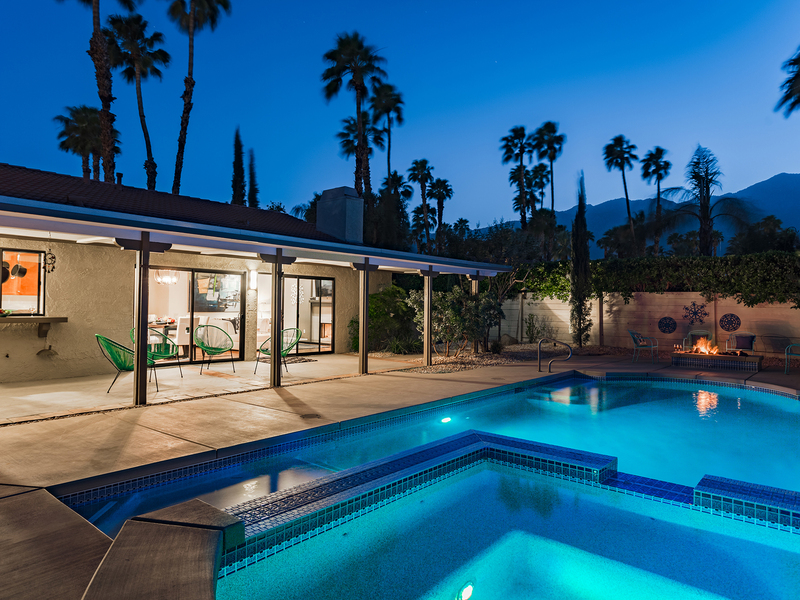 We had a party of 6 for the weekend and I wanted to have our first night catered as we all know that the drive in from LA after a long work week can be unbearable and all you want to do when you get into town is to relax and enjoy the house, the environment, a cocktail, dinner, and dip in the pool. The last thing I want to do is cook for a dinner party. John Patrick Flynn with ACME made a wonderful recommendation for a caterer on Friday night, Lynn Hammond. Lynn’s team prepared a 3 course meal for me and my guests that was light, perfectly prepared, and had the feeling of an elegant restaurant meal. I would highly recommend using Lynn if you are looking for an affordable caterer that has restaurant quality meals while you are in town. 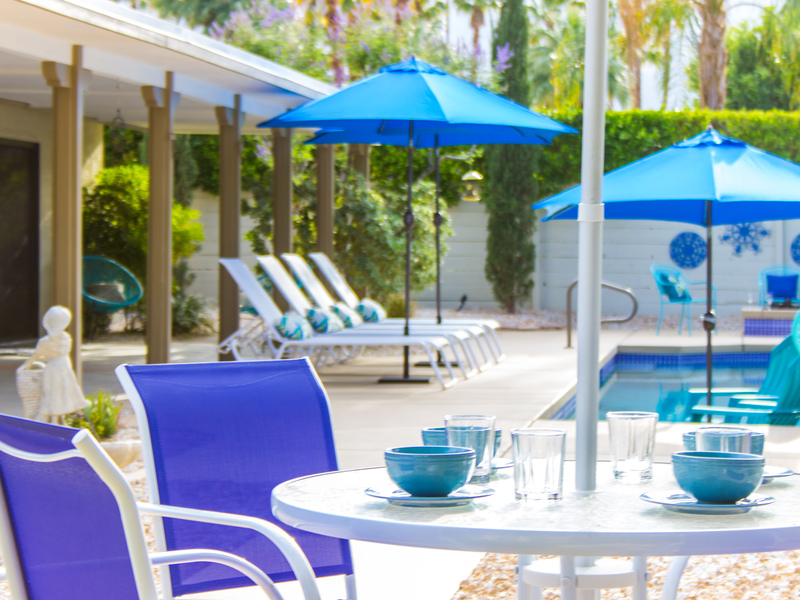 I love the convenience, the customer service, and the luxury vacation rentals that ACME House Co provides. Ken in reservations is amazing and the rest of the team at ACME is so helpful when we needed anything during our stay. They have the right mix of being available but not intrusive. I would not rent with anyone else! Now for the property… Adiamo al Sole is conveniently located at the mid-south point of town. It is close to downtown, shopping, restaurants, yet far enough away that feel you are in your own paradise. The house is nestled away on a quite cul de sac. I don’t think we heard or saw any of the neighbors the entire weekend. It definitely felt like we were at our own private resort. The backyard is by far is the gem of the property. 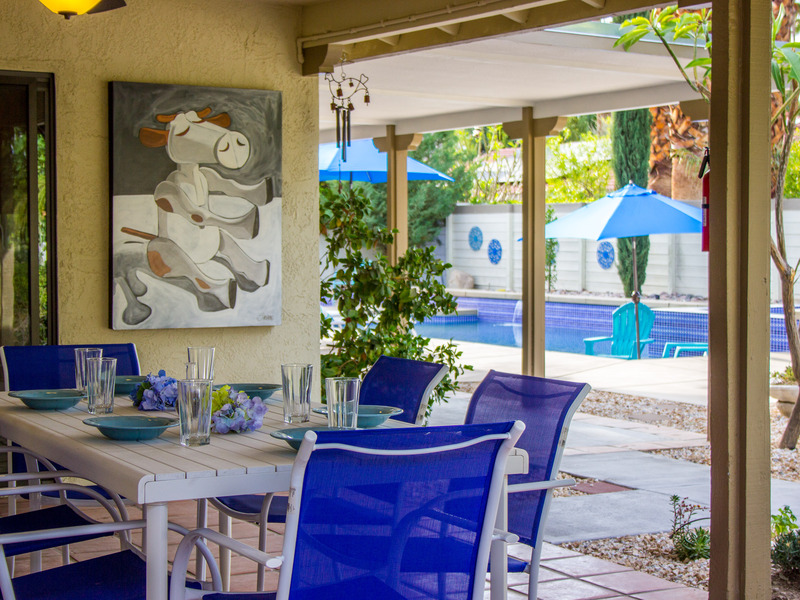 Plenty of seating areas by the pool, under the shade, or at the outdoor dining table. My favorite was relaxing in the hammock in the back corner of the property. One of the things I really loved about the outdoor space was that mountain view could be seen from any location in the backyard. 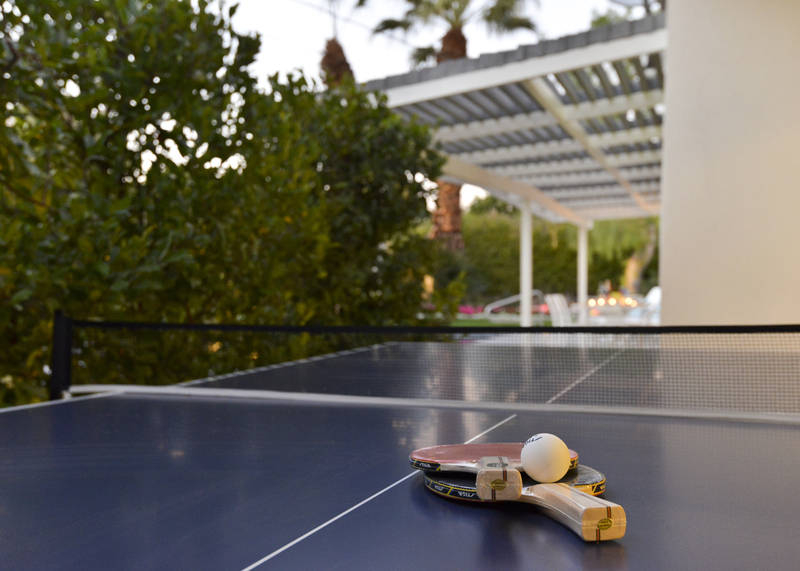 The outdoor grill was a nice touch and we absolutely loved the ping pong table. Inside the house there were plenty of spaces to hang out and lounge. 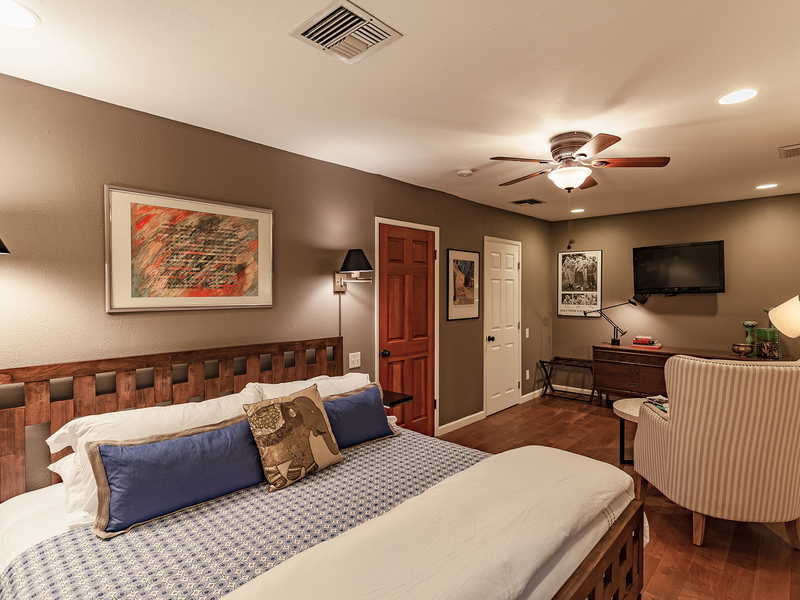 All 3 of the bedrooms had plenty of room to unpack and unwind. 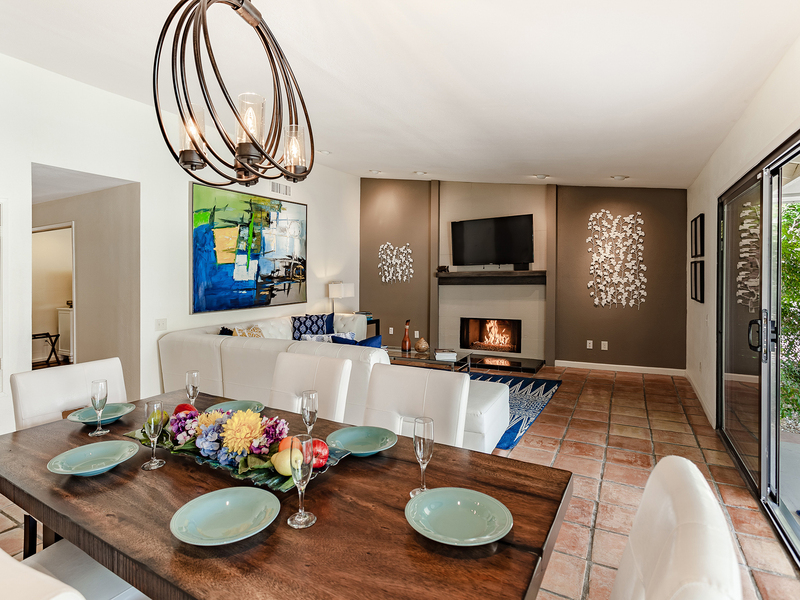 The décor was contemporary and complimentary to the SoCal architecture of the house. I would highly recommend this house!" "I stayed in this house over Memorial Day weekend and had a wonderful time. When I walked into the house, the AC had already been turned on (thank God), there was soft music playing, and the hallway and living room lights were on. Additionally, the pool was already on and set at the perfect temperature, so I was able to start enjoying my stay from the moment I got there. The inside of the house is nice and comfortable, but we spent 80% of our time in the backyard, which is amazing. The pictures don't really show how nice the yard is. It's much bigger in person and very well done. 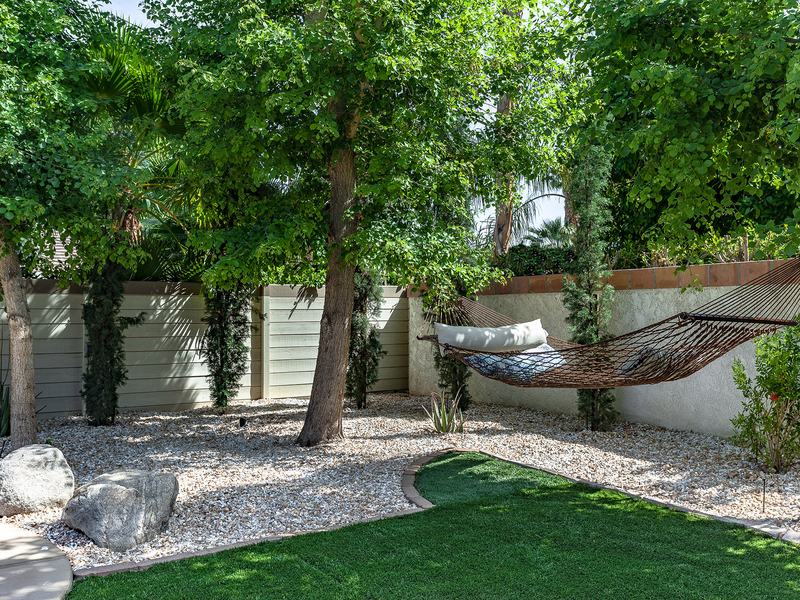 There are several areas in the backyard that you can hang out in and feel totally secluded from other people in different parts of the yard. I would rent this house again just for the yard and pool/spa area alone. The house itself is in a quiet neighborhood and there is plenty of parking. It's not walkable to downtown but it was really cheap to go by Uber/Lyft. All the essentials such as soap, detergent, etc were provided, including toiletries. Everything was very clean and well maintained. We would definitely come back. ”"
Manager Response: Thanks for the feedback Jason. You were great guests! Another flawless stay with Acme. "I had a great experience with ACME House Co., once again. The homes are clean, and they make sure you have what you need. The customer service is top-notch! I always go with Acme because of the great service I've had in the past. Beautiful home and pool! Biggest surprise was how comfortable the house was! " 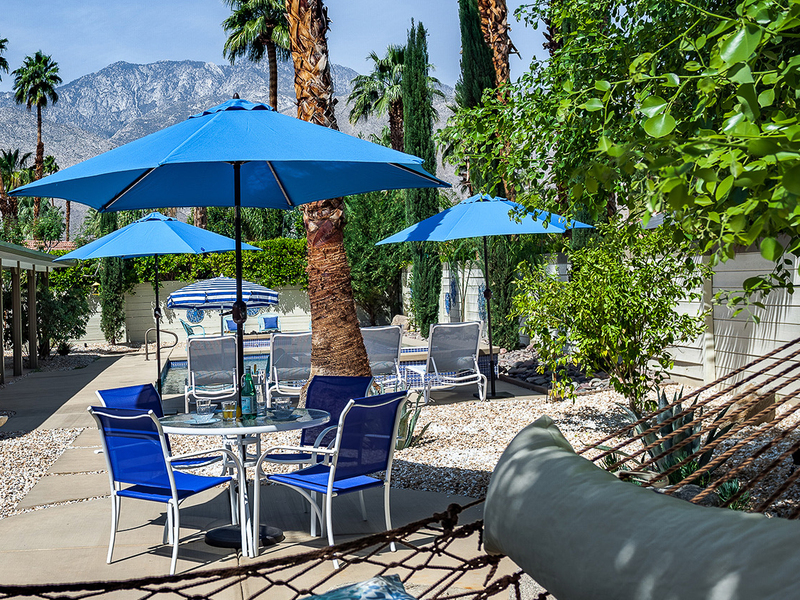 "My family and I had a wonderful time staying at this property. The home was so lovely and well taken care of. We cant wait to come here again! " "We have rented a lot of Vacation Homes. This was by far one of the best experiences we have ever had. The house itself was gorgeous, comfortable, super clean. Well thought out. The back yard with pool and spa was so private. And thanks for the hammock. Nice touch. The team from Acme were great hosts. We will be back."